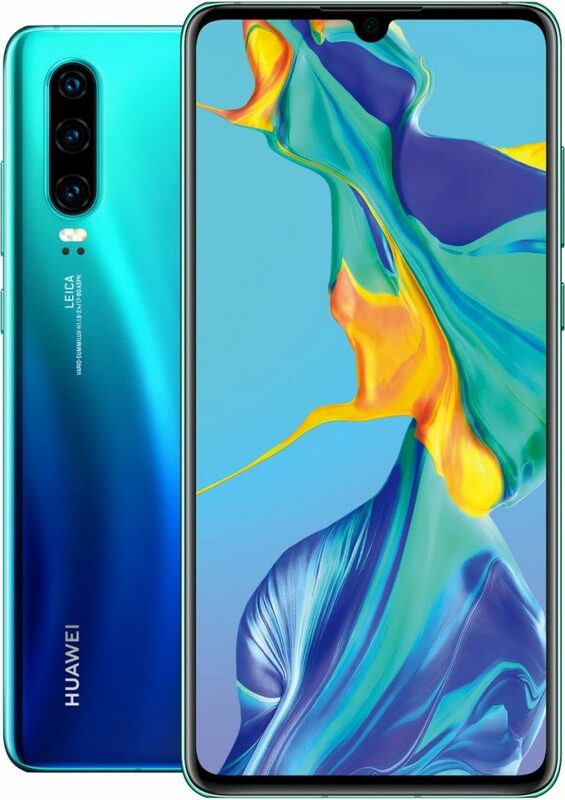 A set of high quality Huawei P30 press renders have been leaked by Evan Blass. And they show off two variants of the device, the P30 and the P30 Pro. First off is the regular P30, which looks similar to the Samsung Galaxy S10e, but with a water-drop notch that houses the selfie camera. There is a thin frame running around the edges of the display. 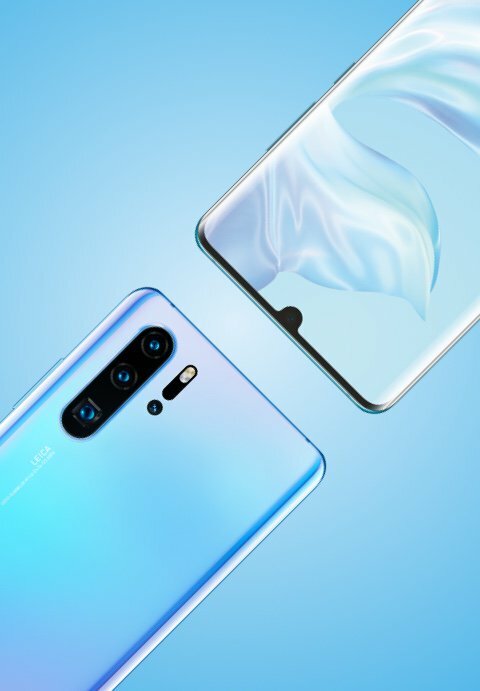 The Galaxy S10 Plus, err, Huawei P30 Pro sports an edge-to-edge display, also with a water-drop notch design. The forehead and chin bezels are quite minimal too. 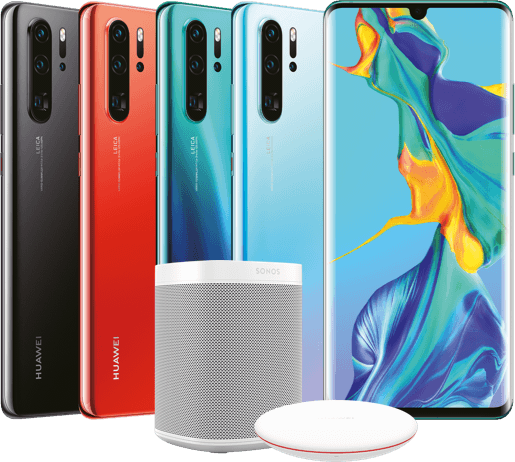 The Huawei P30 press renders reveal triple rear cameras made by Leica, on the rear panel of both variants of the device. But the P30 Pro seems to have some extra sensors, which looks like a heart rate sensor and a laser auto focus. Also one of the lenses has a square outline on the Pro variant. 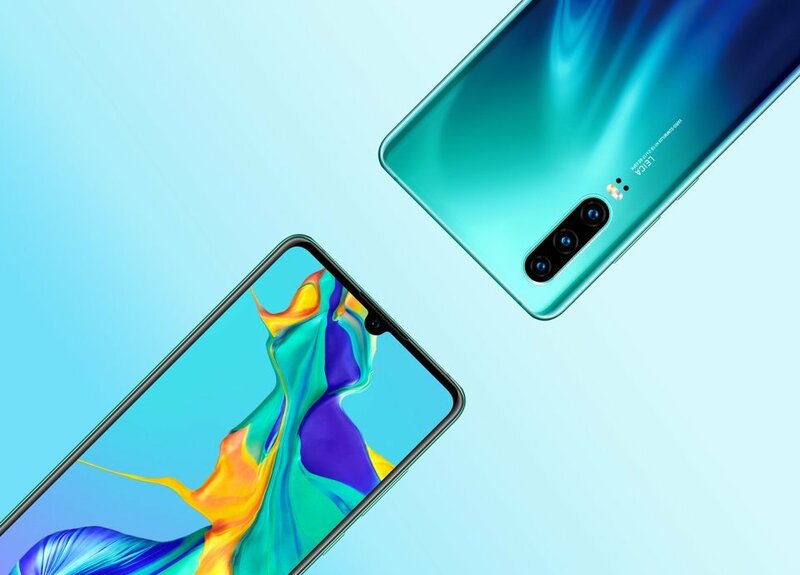 According to previous leaks and an AnTuTu Benchmark, the Huawei P30 is equipped with a 6.0-inch Full HD+ OLED display, and runs on Android 9 Pie with EMUI on top. The device will be powered by a HiSilicon Kirin 980 processor, with a Mali G76-MP10 GPU, and 6GB/8GB of RAM. The phone has 128GB/256GB of internal storage. The three camera setup comprises of a 40MP Sony sensor (RGB) which supports 5x optical zoom, and a 20MP + 5MP cameras. The selfie lens is a 24MP lens. 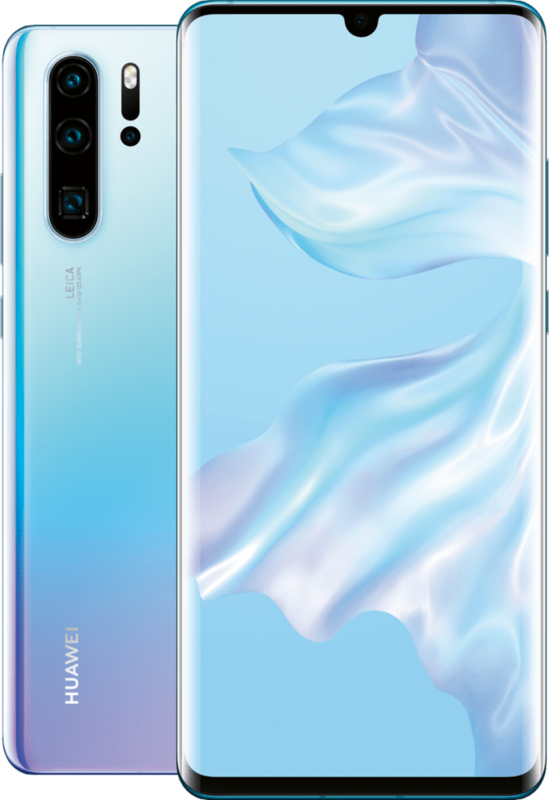 There are three colour options for the Huawei P30: Black, Cyan/Purple and Gradient. 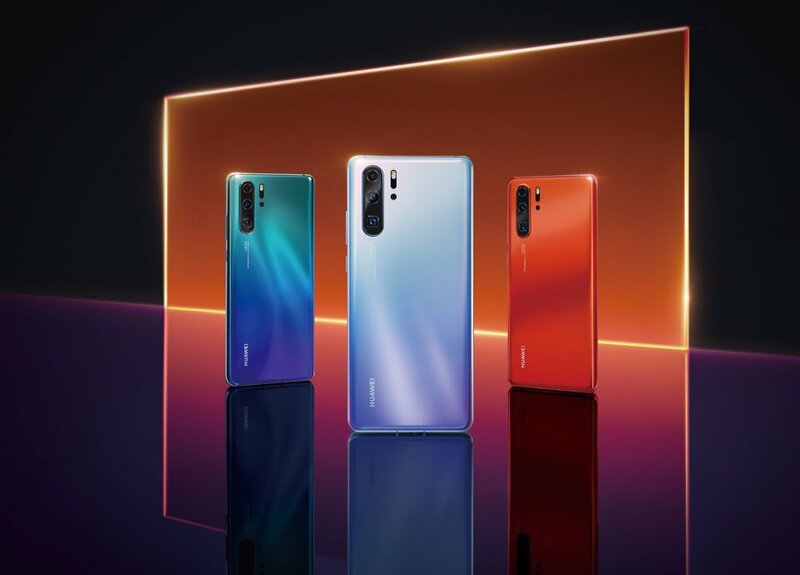 The Huawei P30 Pro will be available in 4 colours: Black, Red, Cyan/Purple and Gradient. We are not sure why that Sonos speaker is in the pictures. 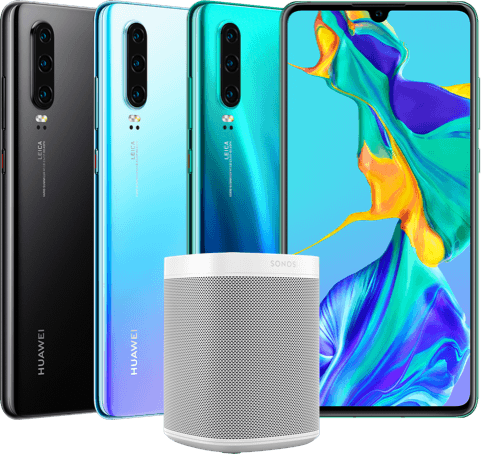 Perhaps Huawei will be giving it away for P30 buyers? We will know that for sure, when the Huawei P30 is announced on March 26th.